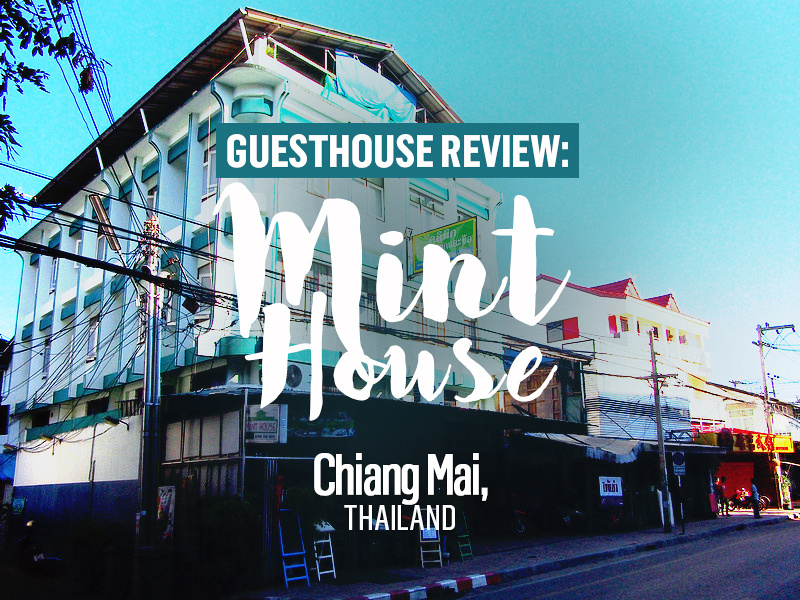 I stayed at the Mint House guesthouse in Chiang Mai, Thailand. I booked online and paid $30.39 USD for three nights. I picked it for its location, which is inside the old city near the Chiang Mai Gate night market. The guesthouse is in an old block that dominates the street. Upon checkin I was greeted by friendly staff. They have a cat which is always cool, but there was also a cat litter box that made the reception smell. I was in a twin room on a corner, so there was plenty of natural light. Being an old concrete building the room heated up easily but it was ok at night. The room had a ceiling fan and another floor fan. 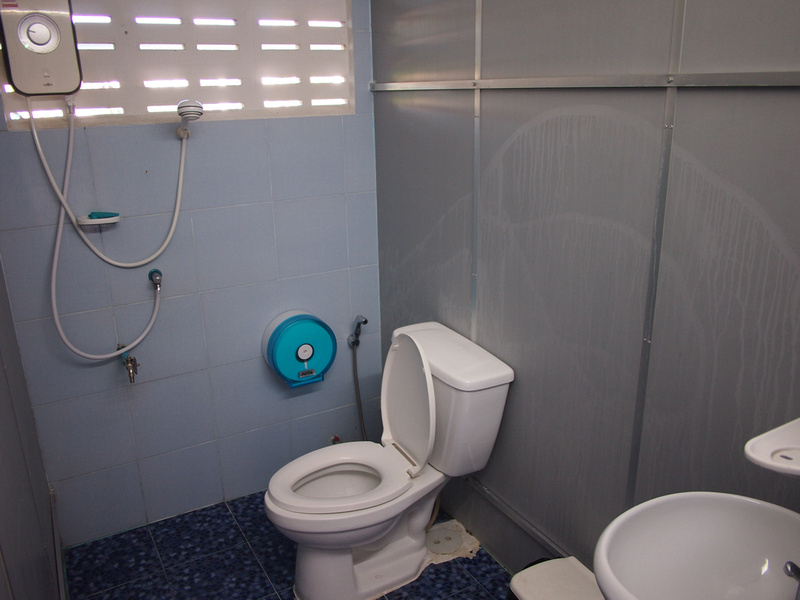 When I booked I made sure I got a room with a private bathroom (many of the cheap guesthouses have shared bathrooms). Technically my room had a private bathroom, but the bathroom situation here was an odd one. The bathroom wasn’t attached to the room but was on a separate bathroom floor. I was on the third floor and the bathroom was the floor below. Each room has its own designated bathroom so I could at least leave my toiletries in there. The bathroom itself was nice enough, being clean and airy, with a good hot water system. 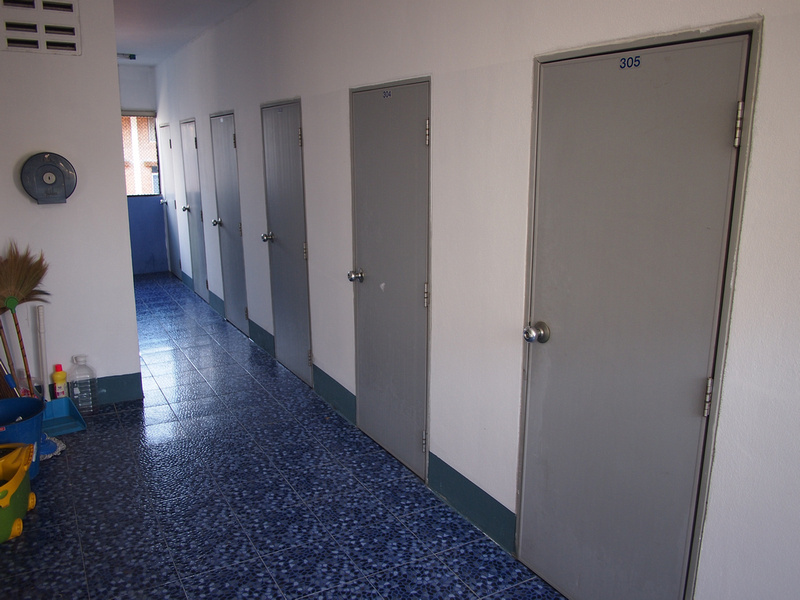 It was just a hassle to go to when you are in your room and want to go to the toilet. 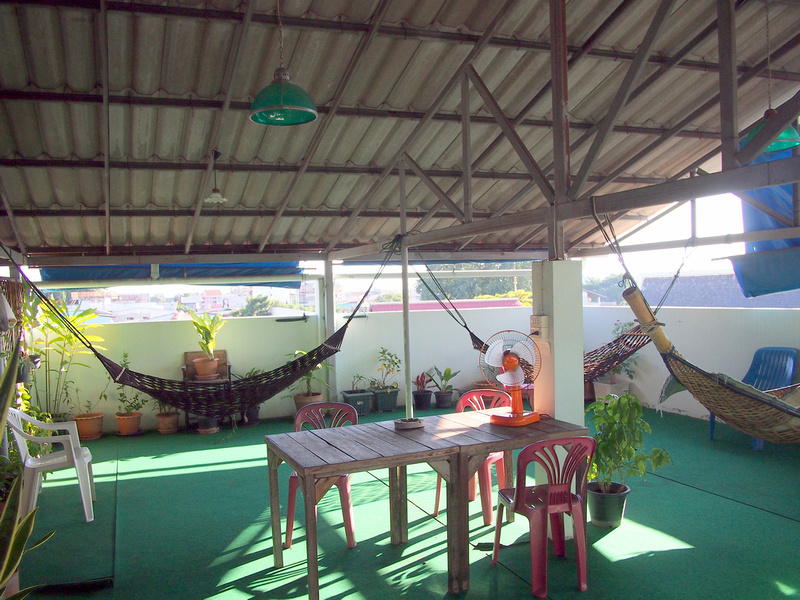 On the roof there is a big chill-out area with hammocks and chairs. There are wifi hotspots on each floor and the signal was good in my room. There is a breakfast service with a variety of western-style options available for purchase. Overall I can’t complain for ten bucks a night, but you can get much better value in Chiang Mai. 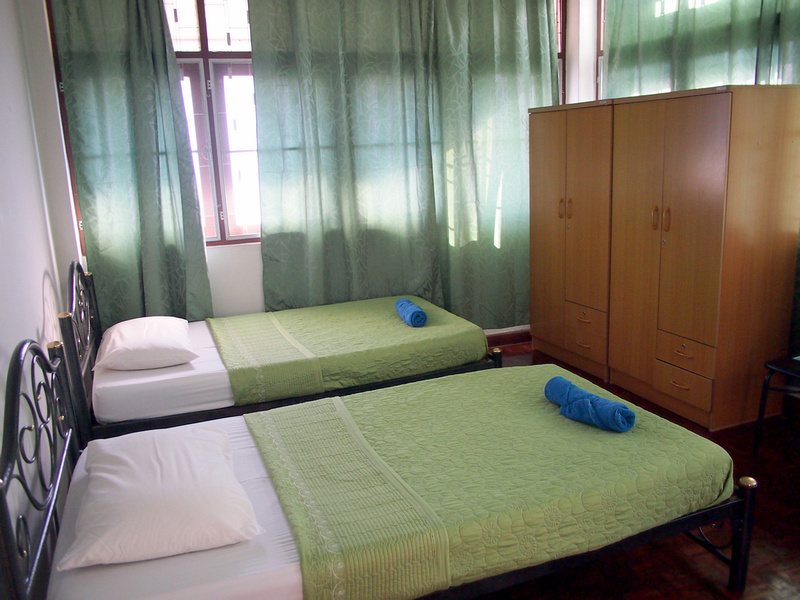 Book the Mint House online or search for more hotels in Chiang Mai. If you’re new to Chiang Mai read up on where to stay in Chiang Mai first.